Gist Limited is using Paragon route planning software to ensure efficient food deliveries to major retail stores across the UK. Gist has a long history of providing logistics operations and manages the storage and distribution of ambient, chilled and frozen food products directly to retail stores and wholesale customers. 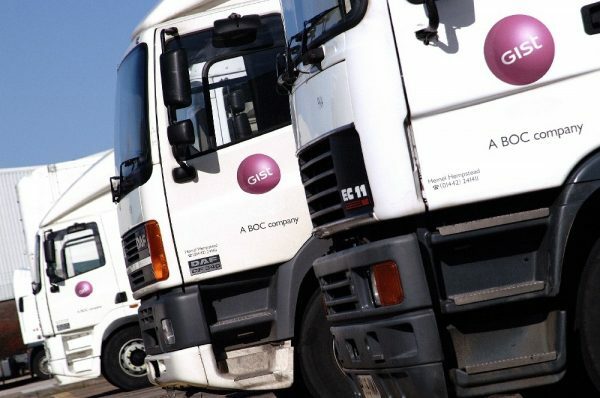 Gist plans its UK and Ireland delivery routes for its distribution centres (DCs) centrally at its HQ near Basingstoke, Hampshire, using the software. Gist uses Paragon for a mixed fleet of about 600 temperature-controlled vehicles ranging from 7.5 tonne rigids to double-decker articulated trucks. The vehicles are fitted with vehicle tracking systems from Isotrak. The tracking system runs in conjunction with the Paragon route planning software, both working together to help maintain a careful eye on service performance. Using Paragon for both strategic fixed route and daily dynamic planning, Gist has been able to optimise the use of its fleet by modelling, and implementing, alternative cost-effective delivery scenarios. This has enabled the introduction of high-efficiency double-deck trailers, thereby reducing the size of the fleet and the number of delivery routes while maintaining the highest level of service. “We are able to use the software to spot opportunities to make efficiency and service improvements; you wouldn’t be able to get such an instant view with manual planning methods. We also use it strategically to run ‘what if’ scenarios and use the reports within any proposals to customers. For example, we use it for assigning stores to a DC; this is particularly useful when considering stores that are located on the border between two regional DCs. The software helps guide our decision and proves to be reliable.